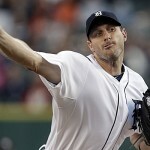 Qualifying Offers; are they working? In the wake of several posts I’ve seen on the topic of Qualifying Offers (one long-winded piece from the long-winded windbag Murray Chass here, accusing the owners of collusion in the cases of Stephen Drew and Kendrys Morales instead of just understanding the state of the game, another from the more reasonable Jayson Stark here, talking about some potential fixes, and their respective agent Scott Boras whining about anonymous executive quotes in an ESPN article here), I thought I’d do some quantitiative-summary analysis of the Q.O. so far. I think its fairly inarguable to state that the system isn’t really working how the players envisioned; especially as two decent FAs still sit un-signed. Clearly the players union did not realize just how much teams are valuing draft picks, to the point where they’d rather keep a mid-first rounder than sign a decent middle-aged free agent. I also believe that several of the players this past off-season got *really* bad advice on the state of the market for their services, and wholy deserve their fates. Baseball is changing; we’re seeing metrics highlighting the value of defense, we’re seeing positional flexibility win out over inflexibility, and we’re seeing teams go with youth over veterans even when the cost difference is rather negligible. That middle-aged, defensively challenged free agents (especially Morales) didn’t see this is entirely on them. The situation is even worse for players of advancing years, who are not even getting contract offers after decent seasons and are being forced into early retirement in some cases. Year Player Old Team New Team Draft Pick Forfeited Signing Date Subsequent contract (w/o options) Money up/down per AAV Q.O. Screw the player? Michael Bourn got a longer deal with more guaranteed money, but he got less in AAV than the Q.O. he turned down, so perhaps my view is arguable that he was affected. Rafael Soriano languished on the FA market until the Nats suprisingly signed him; his AAV in “real” dollars was significantly less in its estimate per year than the Q.O. he turned down (most estimates i’ve seen are at $11M/year with all the deferred money in his deal). I hope Soriano keeps sending his agent Xmas cards; clearly Boras pulled a rabbit out of a hat to get him signed here. Adam LaRoche saw very little interest in his services and returned to the Nats on a discounted deal; meanwhile players with comparable skills but without compensation issues earned more years and more dollars. Shane Victorino; 3yrs/$39M as an example. Kyle Lohse probably suffered the worst fate; he didn’t sign until a week before the season and for more than a 15% discount per year. Meanwhile lesser pitcher Edwin Jackson got 4yrs/$52M by way of comparison, without a Q.O. attached to him. Drew and Morales remain unsigned to this point … and its hard to envision a scenario right now where any team would sign these players until after the Rule 4 draft in early June. Why give up a draft pick at this point? On the bright side for both players, there may be a veritable bidding war for their services after the draft, and they could get decent contracts which have (by rule) no further draft pick compensation issues. Nelson Cruz had to take a $6M pay-cut due to his not taking the Q.O., a serious miscalculation of his market by him and his agent. You may argue whether or not Ubaldo Jimenez really got screwed here, since he got $50M guaranteed in a four year deal. But his AAV is a good 10% less than the Q.O. that he spurned form Cleveland. You can also argue about Ervin Santana, who signed for *exactly* the Q.O. amount once Atlanta lost most of their rotation for the year. I still say he was impacted because of the amount of time it took and his subsequent service time loss to start the season. If i’m a future veteran FA … i’d be rather worried. So, what’s the fix? Some say that this situation will naturally just take care of itself; next off-season maybe some players will finally take the Q.O. (remember; we’ve yet to have a single player take the offer), which in turn should make some teams wary of offering them in subsequent years. But by the time this situation naturally plays itself out, it’ll be time for the next bargaining session. I think the MLBPA needs to (in the next bargaining session) cut the cord on the link between draft picks and free agent compensation once and for all. The entire reason draft pick compensation was invented was to “help” the little guys who lost free agents to the big teams. But look at the list of the teams who are generally offering Q.O.’s to players right now: 6 of the 21 total offer’d players were from the Yankees, another 3 from Boston. Those aren’t exactly teams “in need” of being given more picks in the draft. In fact, of the 21 players who have gone through this system, by my count just THREE played for a team that I’d qualify as a “small market” (Upton from Tampa Bay, Jimenez from Cleveland and Santana from Kansas City). Every other player plays for either a major market or a successful team in a mid-sized market. How is this system “working” as per its original intent, at all?? Maybe the right way of doing things is to punish the big teams for signing FAs … but don’t allow them to “game” the system by subsequently gaining more picks back. The Yankees signed four Q.O. affected free agents this past off-season … but only really lost one draft pick thanks to them having offered up and received their own compensatory picks for the players they knew they were going to lose anyway. Why aren’t the Yankees being forced to lose their first four ROUNDS of draft picks? If you’re in the top 10 in payroll, you only can lose in the draft pick compensation game, not win. The 19th cycle was shortened by one start (Gorzelanny misses a turn in the rotation) as the league hits the all-star break. We’ll pick up with the 20th cycle on Friday July 15th at the Braves, and will shuffle the order of the starters slightly. Jordan Zimmermann took the team into the All Star break with a dominant 7 inning, 4hit, 6k outing against the Rockies on 7/10 (box/gamer). It was a slightly questionable hook by Davey Johnson; Zimmermann was only on 88 pitches, but perhaps they’re thinking about squeezing innings out of him after we reach September. Livan Hernandez couldn’t protect the EIGHT run lead his offense gave him in the Cubs finale on 7/7 (box/gamer), but it was the bullpen that eventually took the ugly 10-9 loss. John Lannan took a liner off the nose, breaking it, in his 7/8 start (box/gamer). Unfortunately despite 5ks in 3 innings he also took the loss. Jason Marquis was a bit wild in his 7/9 start (box/gamer) against the Rockies, taking the loss despite a 6inning, 2run outing. Rockies starter Ubaldo Jimenez was too good, taking a no-hitter into the 5th. Starter Trends: More up-and-down performances out of Livan make you wonder if his rotation spot is really that secure. Marquis has tailed off at just the wrong time, while Lannan may visit the DL. Further notes about the Yankees interest in Sean Burnett, as reported by Bill Ladson. Problem is, the Nats would be selling at an absolute low point on Burnett, with little in the way of left-handed relief coming up. The news, as suspected, is not good on Cole Kimball. Torn rotator cuff, surgery required. Lets hope that he recovers well. A few weeks back si’s Tom Verducci posted an article discussing the value of starters over closers. One of the points that he made in the article related to the general fact that Ace Starters are more likely to be with the same team that developed them than being free agent acquisitions in the modern game. In Verducci’s article, he analyzed the 20 best pitchers by ERA from last season and found that 13 of them are still with their original organization. Furthermore, 10 of them were first round draft picks. Modern baseball teams are being built more and more through the draft. Last year’s World Series champions San Francisco featured 4 home grown starters, each of whom would slot in as the best or 2nd best pitcher on most every other rotation in the league. Tampa Bay rode a slew of home-grown (and cheap!) starters to the 2nd best record in Baseball over the past 3 years. And now we clearly see Mike Rizzo trying to build up his starting pitcher cache in the minors through mid-season trades and a focus on pitching in the past couple drafts. I thought I’d take this point a bit further, as it relates to a topic that I have found more and more fascinating. The New York Yankees and their $200M payroll struggled to find starting pitching in the off season and are now essentially conducting tryouts in spring training for the #4 and #5 starter spots in their rotation. How did they find themselves in this predicament? The answer is thus; it has been years since they developed a home-grown Ace starter. Their best pitcher (CC Sabathia) was a (very) expensive Free Agent, their 2nd best a home grown rookie (Phil Hughes) and their third best (AJ Burnett) another pricey free agent. Arguably it has been since either Chien-Ming Wang or possibly Andy Pettitte that the Yankees have developed a starter worthy of mention. Now, the Yankees have certainly bought themselves a whole lot of offense that will mask their weaknesses in the rotation, but the fact remains that they could easily miss the playoffs in 2011 despite their payroll if the first three members of their rotation do not pitch well. Lets look at the “Aces” in baseball, and take a look at their acquisition methods and their contract status. Here, “Home Grown” means the team that developed the pitcher, not necessarily the team that drafted him. When prospects get traded, I credit the acquiring team for developing and delivering the player to the majors. Home Grown: Johnson, Hamels, Wainwright, Jimenez, Lincecum, Cain, Lester, Buchholz, Price, Verlander, Liriano, Felix Hernandez, Jered Weaver. Free Agent Acquisition: Halladay, Lee, Carpenter, Sabathia. Trade Acquisition: Oswalt, Santana, Greinke. Of these 20 “Aces,” 13 are still with their developing organization. Four Free Agent acquisitions for big money, and three traded Aces that cost their teams plenty (though in retrospect the Johan Santana trade isn’t looking that bad for the Mets). Another side-point was Verducci’s findings that 10 of the top 20 pitchers by ERA last year were first rounders. I find that piece of information really amazing, given the notorious “crapshoot” mentality of baseball Drafts. Here’s a quick followup analysis of the Initial Acquisition method of my 20 “Aces” and determining draft or international free agent. Here, we’ll put “supplemental first rounders) into the “1st round” category. Draft: 1st Rounder: Hamels, Halladay, Carpenter, Wainwright, Greinke, Lincecum, Cain, Buchholz, Price, Sabathia, Verlander, Jered Weaver. Draft: top 5 rounds: Johnson (4th), Lee (4th), Lester (2nd). Draft: 6th round or later: Oswalt (23rd). International Free Agents: Santana, Jimenez, Liriano, Felix Hernandez. So by my analysis, 12 of the best 20 pitchers in the game were first round picks. Only Oswalt looks like a complete diamond in the rough find. For all the talk about how the draft is a crap shoot (hey, Albert Pujols was a 13th round pick), it really seems apparent that these first rounders paid off handsomely. Here’s one more look; of the 13 “home grown” aces, lets look at their current contract status. All data per Cot’s fantastic salary database site. 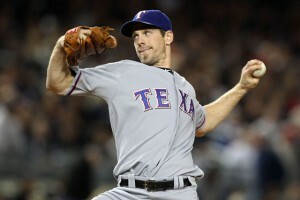 Hamels: 3 years/$20.5M (2009-11), but he has a 4th arbitration year in 2012. Wainwright: 4 years/$15M (2008-11), plus 2012, 2013 club options (this contract is in complete peril though, since the club can terminate at the end of 2011 when Wainwright is on the DL. That essentially kills $21M guaranteed to Wainwright in 2012 and 2013. Tough, tough break for the player). Lincecum: 2 years/$23M (2010-11), but these are just his first two arbitration years. Two more to go to take him through 2013. 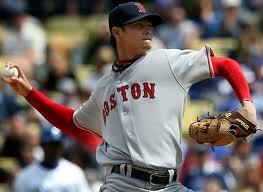 Buchholz: 1yr/$480K (est): Still on a pre-arbitration contract, possibly the best value in baseball right now. Controlled through 2014 by the Red Sox. Price: 6 years/$8.5M (2007-12). Wait, actually THIS may be the best deal in baseball, since Buchholz will probably garner a massive first-year arbitration award in 2012 just as Price’s 6 year deal ends. However, Price can void the contract and file for arbitration as soon as he becomes eligible, presumably for the 2012 season. Liriano: 1 year/$4.3M (2011). Still in his arbitration years, under club control through 2012. Jered Weaver: 1 year/$7.37M (2011). He lost his arbitration hearing this year after going “only” 13-12 but leading the league in strikeouts and coming in 5th in Cy Young voting. Under club control through 2012. Notice how teams are locking up these Ace pitchers for the long haul. We’re likely to have perhaps just an injury reclamation project in Adam Wainwright and opt-out 100% certain to return to the Yankees Sabathia as the sole major free agent candidates this coming off season. I’ve read differing opinions on whether or not Sabathia opts out of his contract (he’d be abandoning $92M of guaranteed pay over 4 years) but I’d be surprised (shocked actually) if he did NOT opt out, especially if he has a third consecutive year of similar production to his first two for the Yankees. You would have to think he could easily merit a contract north of Cliff Lee’s $24M/year for 7 additional years. 7yrs/$170M or so. Phillies: 1 home grown (Hamels), 3 traded acquisitions (Halladay, Oswalt, Blanton) one FA (Moyer). Twins: 3 home grown (Baker, Blackburn, Slowey) one FA (Pavano) and one trade acquisition (Liriano). Reds: 3 home grown (Leake, Bailey/Wood, Cueto), two trade acquisitions (Arroyo and Harang). Six of the Eight playoff team used rotations that were mostly home grown. Most of the trade acquisitions here were trading of prospects (either the acquiring team using prospects to acquire a proven Vet, as with Hudson, or the acquiring team acquiring and developing the player, as with Garza). What is the lesson, after all this analysis? Draft well, develop well, and then lock down your Aces for the long haul. That is the pathway to success. There are some exceptions of course (the Phillies have acquired 2 Aces by leveraging their very good farm system depth, and still have enough lower-level depth to rank among the best farm systems in baseball. And the Yankees of course have bought themselves a good portion of their team). But looking at the playoff teams last year, most of them were draft-heavy on starters. Coincidentally; the Nats 2011 rotation by way of comparison? 2 drafted (Lannan, Zimmermann), 2 FAs (Livan and Marquis) and one trade acquisition candidate (Gorzelanny). This would look far better of course if we were using two key drafted/developed players (Strasburg, Detwiler or even Maya). 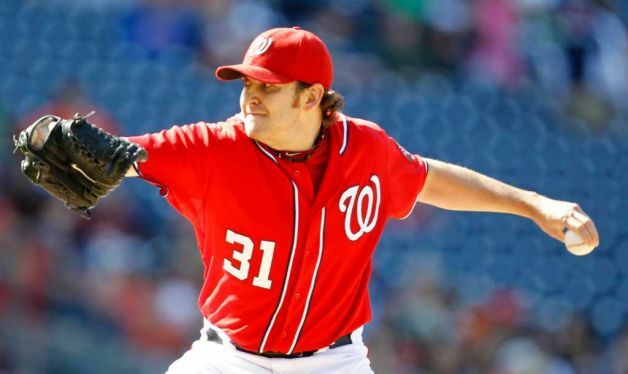 Here’s hoping that the Nats’ higher-end starting pitcher draft picks (Strasburg, Zimmermann Solis, Cole, and Detwiler) become the core of our rotation for years to come. NL MVP: Joey Votto, named first on 31/32 ballots. NL Cy Young: Roy Halladay, unanimous. Candidates and Guesses on the award winners for the 4 major categories per league. I originally wrote this towards the end of the season, and now am updating it based on how the season finished out. 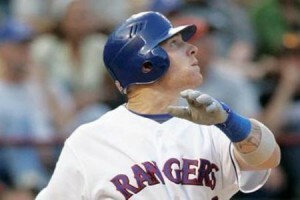 AL MVP: Josh Hamilton (Cano 2nd unless voters get all NY-starry eyed). Miguel Cabrera getting is putting up serious numbers but the all around play of Hamilton is hard to miss. AL Cy Young: Felix Hernandez. Back in late august I had CC Sabathia winning this, but Felix’s statistics pitching for such a poor team are overwhelming. Mid summer, this was David Price‘s award to lose and, well, he’s lost it. Cliff Lee was putting in a pretty strong summer as well but has really struggled since getting to Texas. Guys like Clay Buchholz (who led the Majors in ERA for a bit) and Trevor Cahill looking so strong. Lots of good starter performances in the AL this year. AL Rookie: Neftali Felix, who has been lights out for the Rangers as their closer. Guys like Austin Jackson and Brendan Boesch have tailed off. Daniel Bard really isn’t in a position as a setup guy to be the impact player the others are. Reaching the post season and putting up good numbers there didn’t hurt. AL Mgr: I’m going with Minnesota’s Ron Gardenhire. He coaxed 94 wins out of a team with a ho-hum pitching staff, a team that lost its closer in the pre-season and which didn’t have its leading slugger for the 2nd half of the season. Ron Washington also gets some credit, having taken a team with very little payroll to the top of their division. Its a bit less impressive though since the Rangers were already projecting to be a pretty good team. NL MVP: Joey Votto. Pujols may be an equal, but Votto will win the “hey lets give it to someone else” crowd. I guess Adrian Gonzalez will come in a distant third. NL Cy Young: Roy Halladay, who has been consistently and quietly awesome so far this year. Again this was another’s to lose (Ubaldo Jimenez) and indeed he has lost it, performing so badly in the last month that I considering dropping him from my fantasy team. 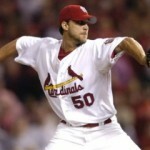 Wainwright is up there for consideration as well. Latos, Josh Johnson, and Hudson are also having great seasons. NL Rookie: Buster Posey. Yes he only came up in june, but to immediately slot in as the catcher, calling games for a rotation of elite starters AND being your teams cleanup hitter is impressive. That they made the playoffs and eventually won the World Series with Posey at the helm is even more impressive. In August this award was absolutely going to Jayson Heyward, but he tailed off and wasn’t nearly as exciting towards the end of the season as in the beginning. 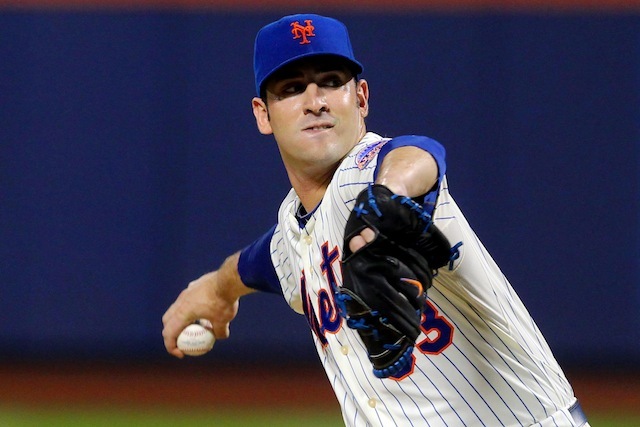 Jamie Garcia is in third place; it is hard to argue with a potential Cy Young candidate. Mike Stanton, Gaby Sanchez and even Stephen Strasburg were up for consideration at various times. Mike Leake‘s accomplishments are pretty noteworthy (not a day in the minors and making the MLB rotation on a playoff-bound team). Just a great rookie class in the NL this year. NL Manager: Bud Black, though some serious consideration goes to Dusty Baker for the job he’s done in Cincinnati. But (in a similar story to Texas) to take a team nearly dead last in payroll to the top of a division with big time talent is tough. Bobby Cox has also done a nice job turning around Atlanta. As Cliff Lee continues to dazzle in the post season (his most recent effort being his 8inning, 2hit 13k gem against the most potent offense in Baseball, your NY Yankees), rumors of his purported price tag in the Free Agency market continue to reach spiraling heights. The most common numbers thrown out start at 5yrs, $25M per. One author at Forbes thinks he may approach $200M for 6 years combining salary and endorsements. If you are trying to compare talent to contract value, then you have to start with the highest paid pitchers at current. CC Sabathia is at $23M/year, Johan Santana is at $22.9M/year on average, and Roy Halladay took a slight discount to sign with Philadelphia (and be able to live in his offseason Odessa home 2 extra months of the year and drive to Spring Training) and is making $20M/year on his new deal. Clearly, Cliff Lee has shown that he belongs at least at the $20M/year scale. But how much higher makes sense financially for the signing team? Forgetting for the moment that payroll means very little to a team like the New York Yankees (unfortunately his likely destination), lets talk about the value of the Free Agent contract and whether a team that gives out a $25M/year contract can ever really get their money’s worth. 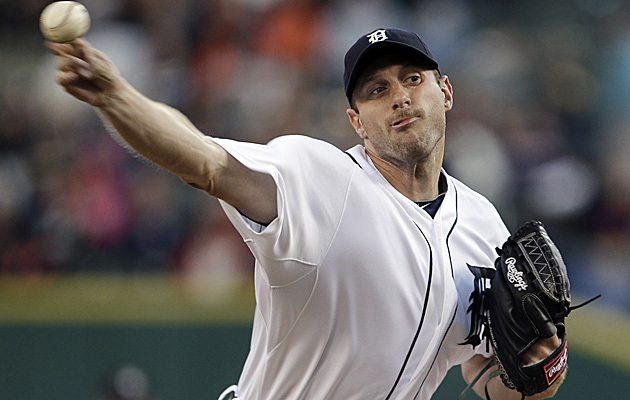 Baseball is filled with horror stories of huge FA contracts that went bust. Names like Zito, Dreifort, Pavano, Neagle, and Hampton fill general managers and fan’s heads with dispair. How bad were these contracts? I put together a spreadsheet with every significant starting pitcher FA contract that I could find, then cross referenced it by the Pitcher’s Won/Loss record during the duration of the contract. See below: the table is sorted in reverse order of $/win. In addition to the major FA contracts, I also arbitrarily added every “Ace” starter in the league, resulting in names like Lee, Jimenez, Price and Buchholz being in this list despite not being major FA pitchers (yet). Their inclusion illustrates one of my major conclusions below. Comment on Won/Loss records; yes I know that individual pitcher wins are not a great indicator of a starter’s worth. However, they do reasonably indicate over the course of a longer term period the value of that pitcher to a team. Perhaps a better argument is free agent dollars per quality start (despite the quality start measuring basically a mediocre start of 3ER or less in 6ip or more by a pitcher, it does generally correlate well to team wins andveven to a “real” quality start of 2ER or less in 6IP or more). At some point I’ll re-run the analysis and count up QS per FA dollar to see how it compares. The Contract total value is averaged over the life of the contract, even if the payments are different during different years. The W/L record is for the pitcher over the life of the contract, not necessarily for the original signing team. If the contract is current (i.e., runs from 2009-2012) then I’ve only counted the completed regular seasons. There are no off-season records taken into play. I entered in both Japanese Pitchers (Igawa and Matsuzaka) with massive posting numbers twice; one factoring the posting fee and the other not. Without the fee Dice-K looks halfway decent but with it he’s overpriced (something all Boston fans probably already knew about their highly paid #5 pitcher). – If you can get 1 win per $1M expended, you are doing about average it seems. Anything above $1.25M and you are looking at a questionable contract. – It is difficult to look at any contract below $1M/victory and say that the team made a bad deal. – The absurdly low $/victory values for David Price and Clay Buchholz demonstrate as clearly as possible the value of the pre-arbitration superstar. Tampa Bay (who did a similarly shrewd deal with Evan Longoria, buying out the arbitration years and tying the player to the club past the 6-year pre-FA window) now gets Cy Young-quality starts from Price for the next two years at 1/20th his market value. Buchholz is even more evident; at a pre-arbitration salary of $443,000 for 2010, he went 17-7 and gave the Red Sox #1 starter capabilities. On the open market he’s worth at least $15M/year at that level of productivity. – The worst FA contract ever given to a starting pitcher wasn’t one of the aforementioned infamous culprets; it belongs to one Kei Igawa. The Yankees paid the posting fee of $26M just to negotiate with him, then signed him to a 5 year, $20M contract. For that outlay of $46M guaranteed, the Yankees have gotten a record of 2-4 over parts of two seasons, and he hasn’t appeared in a MLB game since June of 2008. Luckily the Yankees can afford it; this kind of FA mistake would cripple a mid-to-small market team for years. 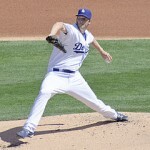 – Jason Schmidt‘s 3yr, $47M deal with the LA Dodgers is the largest $$ bust in terms of a pure FA play, not counting the vagarities of the Japanese posting system. Schmidt had ironically just finished an incredibly efficient deal with San Francisco, where he went 71-36 over 5 seasons on a $40M contract (resulting in a very good $/win number of $563,380). Six games into his Dodger career he went onto the DL list with shoulder injuries that eventually cost him the rest of 2007 and all of 2008. 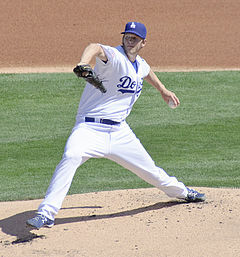 He tried to regroup in 09, failed to make the team out of spring, made a few starts and was back on the DL. All told, 3 wins in 10 starts for $47M. – Some of the infamous deals do appear close to the top of this list; Neagle’s $51M for a 19-23 record. Dreifort’s $55M deal resulting in a grand total of 9 wins and only 26 starts. Ironically, the highest single season salary was Roger Clemen‘s $28M deal with New York in 2007. For that money the Yankees got a middling 6-6 record. – Are there any major FA deals that ARE paying off? Well, you have to dig deep. CC Sabathia has won 40 games for the Yankees in the first two years of his $23M/year deal, which is easily the best 9-figure deal. However, it is early; we need to check back in years 6 and 7 of this deal. Mussina went 92-53 for the Yankees after he signed his $88M deal in 2001. Verlander won 18 games this year for his $16M annual salary and looks like a good bet to continue that trend. – The BEST long term FA deal ever signed has to be Pedro Martinez‘s 6year $92M deal. 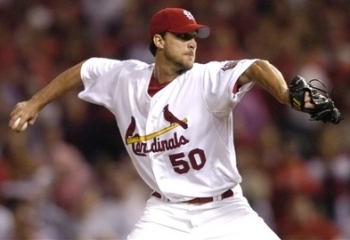 He went 117-37 between 1998-2004, won 3 Cy Youngs, had 2 Cy Young runners-up, and in the year 2000 posted an ERA+ of 291, which accounts for the best modern-day single-season pitching performance in the history of the game. Bringing this back to Cliff Lee; the conclusion is thus; he may earn a $25M/year deal but the odds of his continuing to win 20-22 games/year for the duration of the contract and thus inflating the $/win value will eventually prove that contract to be an albatross (even more so if he misses significant time to injury at some point).